Want to get in front of an engaged audience? Do you attend live industry events? In this article, you’ll discover how to use live blogging to attract and connect with event attendees. 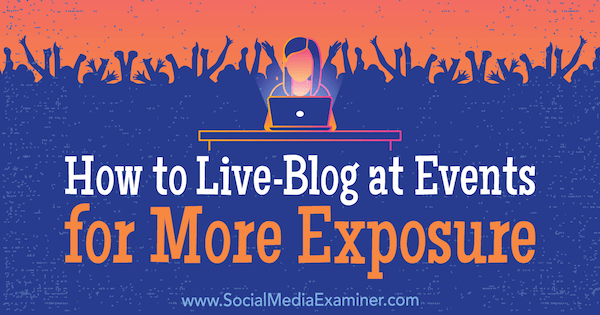 How to Live-Blog at Events for More Exposure by Holly Chessman on Social Media Examiner. Live blogging is a great guerrilla marketing tactic. It can help you grow your following and voice in the media, taking advantage of the event’s audience and speakers. When you live-blog, you can get attention in the moment from people attending the live event. Even better, you might bring in a wider audience that’s interested in the event but can’t attend. To capture the event’s audience, you need to publish your piece during the event or directly after it ends. That’s why planning is critical. First, understand your purpose and goals. You won’t know if your campaign is successful if you don’t define success! Choose an event that will draw an audience relevant to your high-level goal. 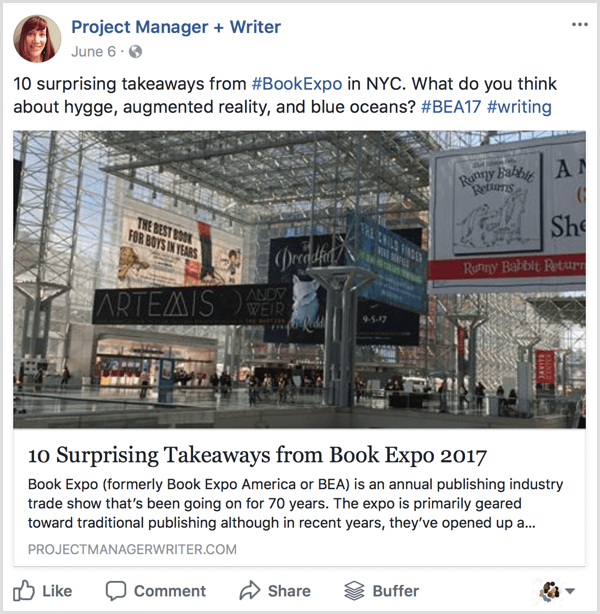 For example, if you want to be known as a social media expert in the B2B space, writing about relevant sessions from the MarketingProfs’ B2B Marketing Forum could get you there. 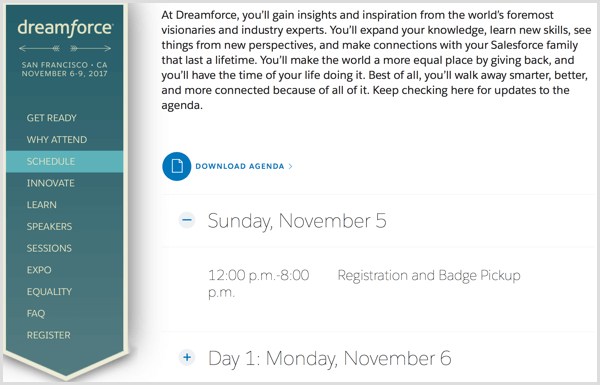 If you want to build a reputation as a customer service expert, you could write about some of the sessions at the Service Cloud portion of Salesforce’s Dreamforce. 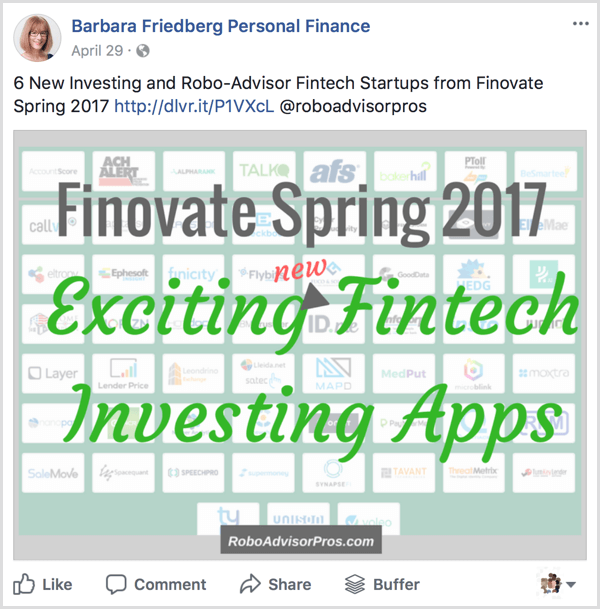 If you’re looking to become known as a leader in cutting-edge financial services technology, you could compare several of the tools demonstrated at Finovate. Whatever event you choose, know that you will have a captive targeted audience that will be interested in what you have to say. Do you want to drive people to attend this event or similar conferences in the future? Add a call to action to your article that will prompt visitors to sign up for a mailing list. Are you trying to grow your reputation as a thought leader? Include a form for visitors to sign up for an ebook or piece of research on a topic related to your blog post. Are you looking to grow your social media following? Add your social media handles at the beginning and end of your article. Once you’ve defined what you want readers to do, set up a call to action and lead capture process with a specific metric for success (e.g., 10 downloads, 30 new names on your mailing list, 100 new social media followers, etc.). 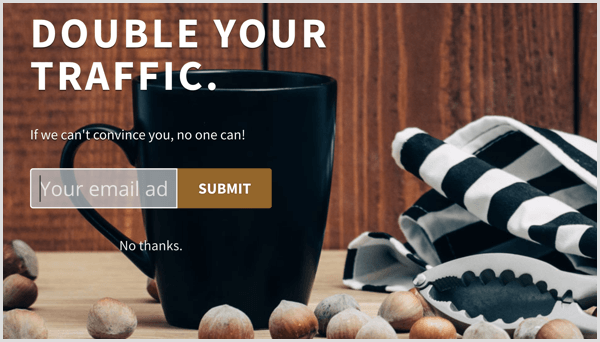 If you’re just starting out and need a lead capture tool, Sumo provides great free and inexpensive forms and other tools to help you start building your list. Now that you’ve set your goal and decided on the subject, it’s time to develop the framework of your article. Your article has to come out as soon as possible after the conclusion of the sessions you’re writing about. That’s why it’s vital to set up as much as possible ahead of time. The event website is a great place to gather information for writing and publicizing your piece. There you can find such information as the location of the room you’ll be in, times and dates of the sessions you’ll be writing about, and speaker links. Speaker social media handles – don’t forget to follow them! As an example, the speaker page of the Social Tools Summit reveals names, titles, businesses, and social media handles of speakers. Reach out to the speakers ahead of time and let them know you’re excited to hear them talk. Share links to their articles on your social channels and provide attribution so they know you’re talking about them. Respond to comments they make via social media. Start a conversation so you can begin building influencer relationships before the event begins. Graphics will spice up your article and keep your audience engaged. But creating them takes time and effort, slowing down your production of the final article. That’s why you should set up design templates ahead of time. 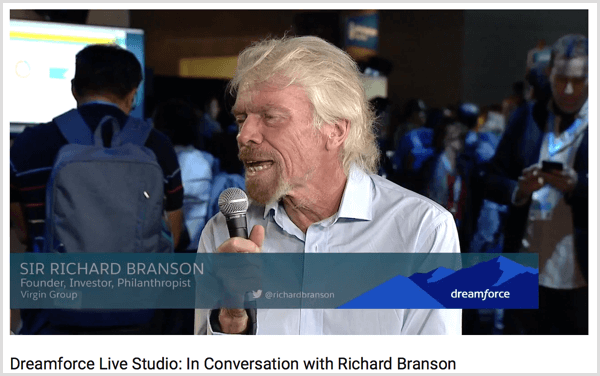 First, create a simple graphic by developing a background template with enough blank space to include a quote that you pick up during the live event. Your background can include a simple color, a photo of the speaker, or a picture that you get from a free photo site like Unsplash or Pixabay. Next, use a graphic creation tool like Canva or Stencil to quickly create images that are sized to work in your piece and look professional. Be sure to leave enough room to add a quote when you’re ready. Note that if you’re writing about an event that you or your company is organizing, you can add slides or create pictures that illustrate bite-sized statistics. Save your blank templates for a few gems that presenters provide as they’re speaking. People love to read insider information about events. That’s why you need to write down questions to ask the speaker and the audience after the session. Ask if attendees agree with the speaker, enjoyed the session, or will implement what they learned in their own business. If you can talk to the speaker, get their perspective on the event or further details on a specific aspect of their topic. Let your social media followers and email list know that you’ll be interviewing people live after the sessions you’re reporting on. Share what time the session will be over, so followers can tune into your live video or provide feedback on the session via social media. 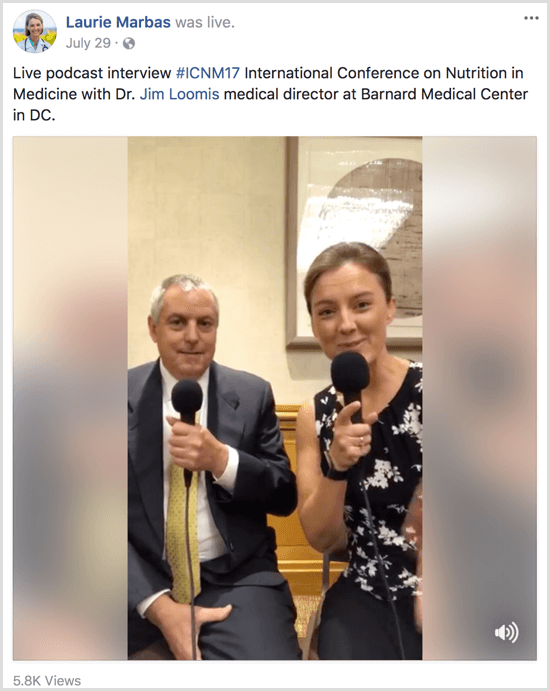 Not sure what tools to use for your live video? Here’s a great list of live video gear you can use. With all of your preparation for the event, you’ll feel confident about your ability to blog on the spot and create a robust piece. Now it’s time to handle the event itself. One of the key parts of live blogging is recording information on the spot. Even if you have all of the slides from a presentation, you may not remember some of the interesting bits that were shared. You’re better off writing them down or getting them on video. Use tools like Evernote or Trello to take and organize notes on the fly. 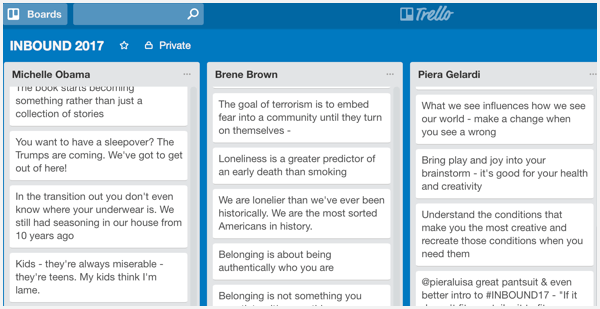 Your notes should include both items shared by the speakers and your original thoughts. Once the speaker finishes, use the questions you prepared to interview audience members and the speaker, and broadcast your interviews on Facebook Live. Tag the interviewees when you post your video. Let your audience know that you’re writing a follow-up article. In addition, download your video, repost it on YouTube, and use it in your blog post. If you can’t interview a speaker, check to see if the people running the event did a speaker interview you can use instead. Finally, don’t forget to thank the speaker via social media and let them know you’re writing a follow-up post about the session. Now it all comes together. All of your preparations will pay off as you write your article. Start your article with a compelling headline to hook your audience. 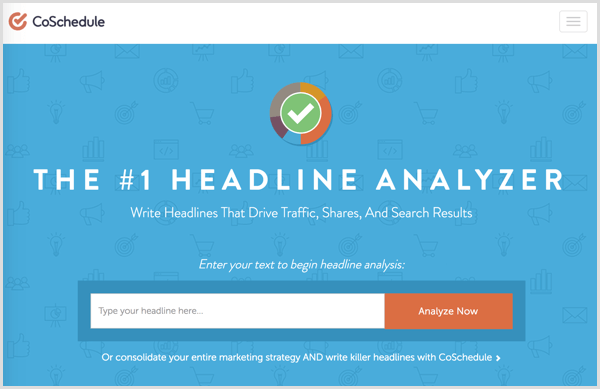 You can hone your title with input from headline tools like the CoSchedule Headline Analyzer, Sharethrough Headline Analyzer, or Portent’s Content Idea Generator. Include the hashtag of the event in the title of your post so everyone can find it. Here’s where your previous research and notes come in handy. As you write your article, keep track of who said what so you can properly attribute concepts to speakers. Mention the names of the speakers and anyone you interviewed. Add bonus links to speakers’ sites and articles. When you’re finished writing, spice up your piece with graphics. Graphics make any piece of content more engaging. Use the templates you created previously to share interesting quotes and statistics covered during the presentations. You can also use additional graphic tools to highlight quotes and stats. For instance, ClickToTweet makes content within text more sharable. The tool creates a small piece of code to add to your blog post. When you insert the code, a link is created that when clicked will automatically bring up a tweet you wrote. This makes it easy for readers to share interesting text. Use Giphy to turn quotes into GIFs. After all, who doesn’t like to share a good GIF? A tool like Visme lets you turn stats and other information into infographics. 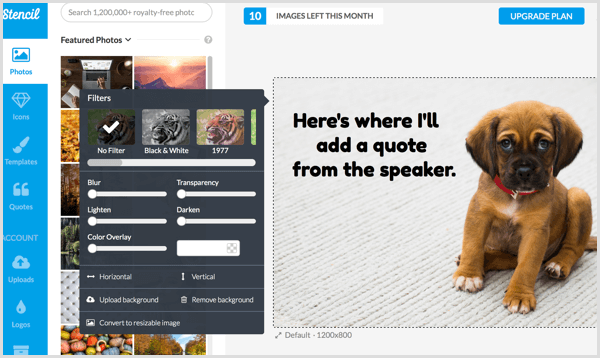 It provides templates and drag-and-drop icons so you can quickly transform the wisdom you gained into something visually interesting. 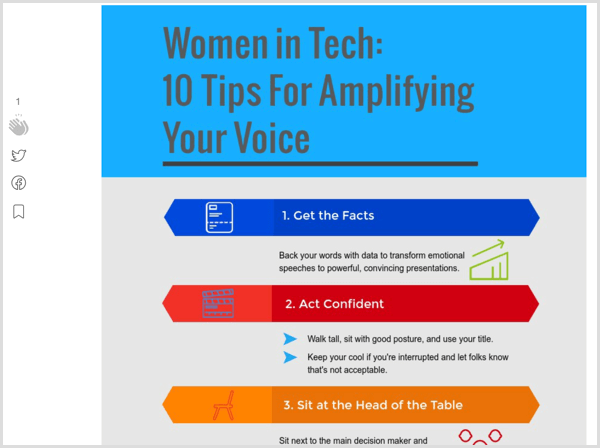 To illustrate, I used a template from Visme to make a quick infographic of tips learned from a Women in Tech session at a local conference and I posted it on Medium. Of course, don’t forget to include any live videos you recorded. You can also include links back to full videos of the session (if they’re available on the event’s site) or slide decks (if speakers provided them). 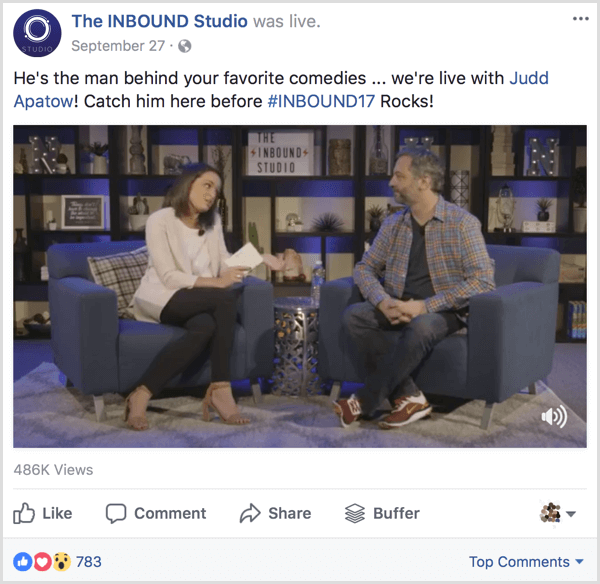 For example, INBOUND created behind-the-scenes video interviews with some of their bigger-name speakers, which provided great material to supplement live blogging articles. The sooner you can share your piece, the better, because people will quickly stop looking for a hashtag around an event once the event is over. When you share your post on social media, don’t forget to tag the speakers, anyone you interviewed, and the event organizers. This will help increase your reach and give credit where it’s due. In addition, event organizers will frequently have their own blog or media links where they will highlight live blog pieces. There’s an excellent chance that they’ll share your piece on their social media channels. Live blogging is a great way to get a quick boost by connecting with a very targeted audience. These tips will help you focus your topics and titles to attract readers, get the most out of sessions while they’re going on, and quickly produce a blog post that’s interesting and sharable. At the same time, you’ll be building your reputation as a thought leader and growing your leads list. What do you think? Have you ever tried live blogging? What tricks do you use to improve your speed and reach? Which show will you live-blog about in the coming months? Leave your questions, comments, and advice below. 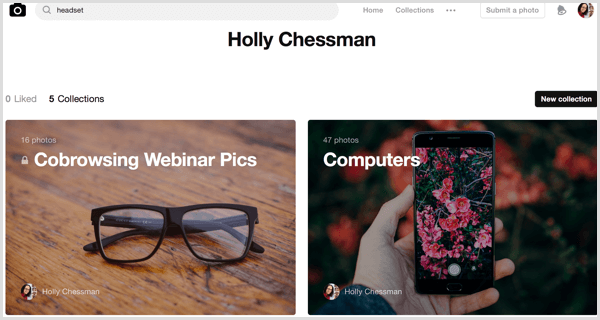 Principal at Holly Chessman Marketing, Holly implements strategies that result in quick growth, rapid revenue, and happy customers. She also writes for Forbes, Maximize Social Business, and other publications.